For your dog, it’s about high performance. It is about giving your dog a healthy life – the life of a Top Dog. 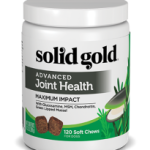 A dog food with a powerhouse of nutrients is just what active dogs need to make it happen. Healthy proteins from beef and ocean fish meal for building strong muscles and whole grains, like barley, to support a healthy digestive system. Unleash your dog’s inner gold and show the world what they are made of. 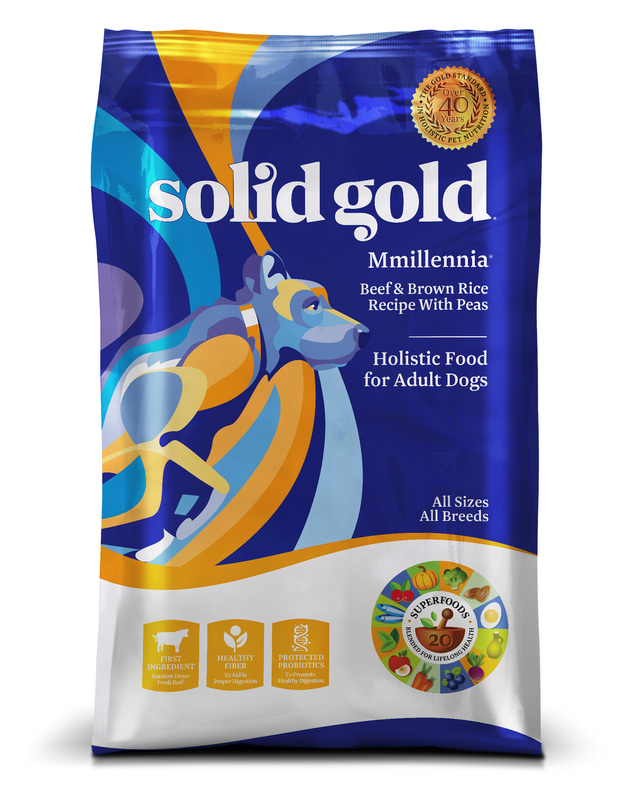 A natural, holistic dry dog food with added vitamin, minerals and amino acids – ideal for medium & large active, performance, sporting adult dogs. Made with hearty beef, peas and whole grains, like brown rice and barley, for taste and energy. Crafted with Beef, Pearled Barley, Brown Rice, Peas and other wholesome and nutritious ingredients. Ingredients: Beef, Ocean Fish Meal, Pearled Barley, Brown Rice, Peas, White Rice, Dried Eggs, Canola Oil (preserved with mixed Tocopherols), Rice Bran, Tomato Pomace, Flaxseed, Natural Flavor, Potassium Chloride, Choline Chloride, DL-Methionine, Taurine, Dried Chicory Root, Salmon Oil (preserved with mixed Tocopherols), L-Carnitine, Carrots, Pumpkin, Apples, Cranberries, Blueberries, Broccoli, Parsley, Spearmint, Almond Oil (preserved with mixed Tocopherols), Sesame Oil (preserved with mixed Tocopherols), Yucca Schidigera Extract, Dried Kelp, Thyme, Lentils, Vitamin A Supplement, Vitamin D3 Supplement, Vitamin E Supplement, Zinc Sulfate, Niacin, Ferrous Sulfate, L-Ascorbyl-2-Polyphosphate (Source of Vitamin C), Calcium Pantothenate, Thiamine Mononitrate, Copper Sulfate, Riboflavin, Pyridoxine Hydrochloride, Manganese Sulfate, Zinc Proteinate, Folic Acid, Calcium Iodate, Manganese Proteinate, Copper Proteinate, Sodium Selenite, Biotin, Vitamin B12 Supplement, Rosemary Extract, Dried Lactobacillus Acidophilus Fermentation Product, Dried Enterococcus Faecium Fermentation Product, Dried Lactobacillus Casei Fermentation Product. 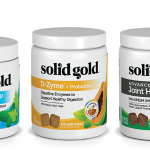 Solid Gold Beef & Barley Formula is available in 4 lbs., 15 lbs., and 28.5 lbs. bags. 2 Features: High in Protein. High in calories for dogs who are picky eaters or need to gain weight. 2 Benefits: My dog loves the taste of Millennium. It has given him so much energy and at 8 years old he loves to swim and play – you would think he is still a pup! Bruno made the switch from Barking at the Moon to Millennium effortlessly and with no digestive issues whatsoever. He immediately loved the taste of Millennium and will give me a quick bark to tell me that it’s time for dinner. Even though Millennium is higher in protein and calories than his previous food, he has not gained any weight since we made the switch. Review: I’m so surprised that my dogs love this food. They normally need their healthy food Dr’d up.